The arts are an important part of a comprehensive education, but have been pushed to the back-burner all too often in recent years. Typical school curriculums are often packed with “core” academics, and the arts don’t always receive the attention they deserve. We at Meemli strongly recommend that all students (and adults too!) make the time to explore the arts whenever they can carve out some time – it helps us be better-rounded people! Participation in the arts comes with a host of benefits as it improves critical thinking and can lead to higher achievement across other academic areas. In addition, University of Pennsylvania researchers found that neighborhoods can experience “spillover effects” and become more vibrant communities from better access to the arts. Now that you’re convinced that sampling the arts is a smart thing to do – try it and you’ll find out it is fun too! Squeeze in something artsy every now and then, and during longer breaks like summer, make it a point to explore the arts in a little more depth – here are some recommendations to get you started! There’s a lot of benefit to the structured approach, especially if you already know you’re interested in a specific art form and want to learn more. For some activities, you may have to take a class – pottery or glass-blowing for example require special equipment and someone to show you how to use them. On the other hand, online classes work well for art you can explore on your own, like drawing or painting or even learning to play an instrument. There are plenty of options from the frequently fee-based platforms like Craftsy or Skillshare, to the many free how-to videos on YouTube – you can find a course (or source) that best suits your interests, time and budget. Countless studies have shown that young people would rather spend money on experiences rather than fancy things. If that sounds like you, consider grabbing some friends and seeing a local performance like a play, dance show, or even a concert. Many community-based shows are free and are a good way to sample the fare. Follow the artists you like on social media, and you may luck into a free show! Bandsintown is another useful resource for check out artists playing near you – you can even connect the app to your music streaming service so it can recommend local shows to you. However you find your shows, grab some tickets and support your local artists! If you’re exploring the visual arts, check out a local museum or gallery. Museums typically have free days and/or discounted rates for locals, so research your trip in advance to take advantage of everything your local museums have to offer. They also hold interactive workshops or events (especially in the summer), so you can even try your own hand at the arts. And the art is not always indoors – there are tours to view “street art” from sidewalk sculptures to over-sized murals, which are often fun to check out with friends and family. Learn by doing and take the arts into your own hands, literally! Try some DIY projects to get creative – like making a movie (check out some ideas here). Finding a creative outlet is great for stress relief, you might even discover a new passion. You could also try volunteering for an organization that supports the art in your community, where you can meet likeminded individuals and maybe even local artists. 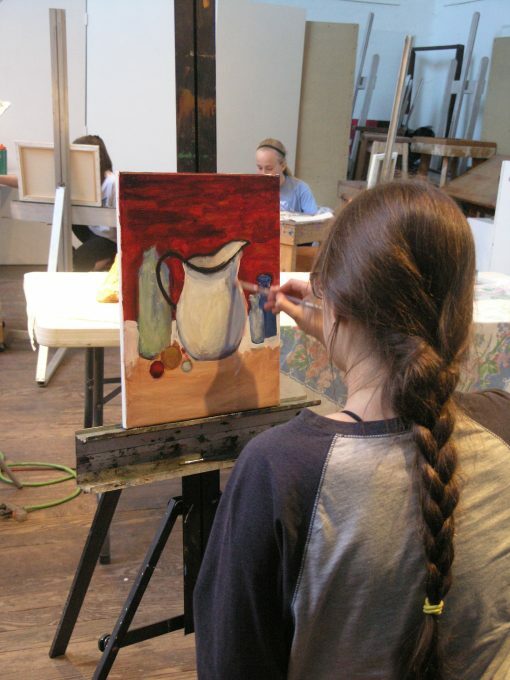 At a minimum, you’ll have fun expressing your creativity and getting to know some artsy people! However you choose to explore the arts,, we can guarantee you’ll have fun doing it, and gather all kinds of other benefits along the way. We’ll get you started in exploring the arts with this cool dance video – maybe you’ll get inspired to make one of your own! Get personalized feedback from a Stanford-trained educator on any personal essay that’s critical to you.